Those words imply that Rapture will be a home to those who don’t belong anywhere else, but they also reveal the deep sorrow and pain that linger within its founder Andrew Ryan, a Belarusian Jew who fled Eastern Europe in the wake of the Bolshevik Revolution. Right from the game’s chilling opening, Ryan’s Jewishness—and that of many other characters in Rapture—is more than just cultural window dressing. Scratch beneath the surface of Rapture’s Ayn Rand-inspired Objectivist dystopia, and you’ll find that BioShock’s Jewish roots run deep. Look beyond ethnic names like Sander Cohen, JS Steinman, and Brigid Tenenbaum and you’ll find a game that’s wrestling with issues that are at the heart of post-Holocaust Jewish identity: displacement, trauma, the ever-elusive idea of “home,” and how an idealised homeland like Israel can decay when put under the pressure of trauma and oppression. 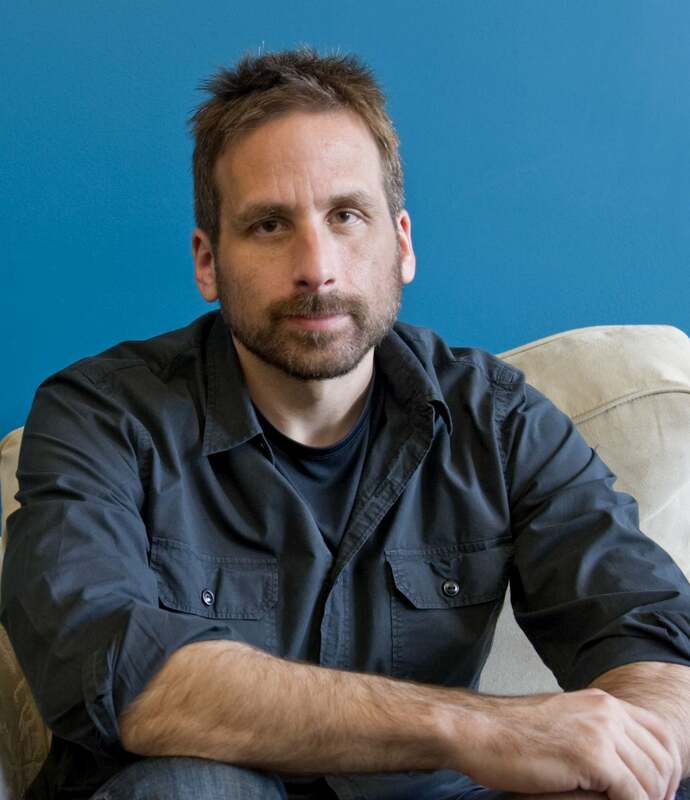 Much of that can be traced back to the game’s creative director and writer Ken Levine. 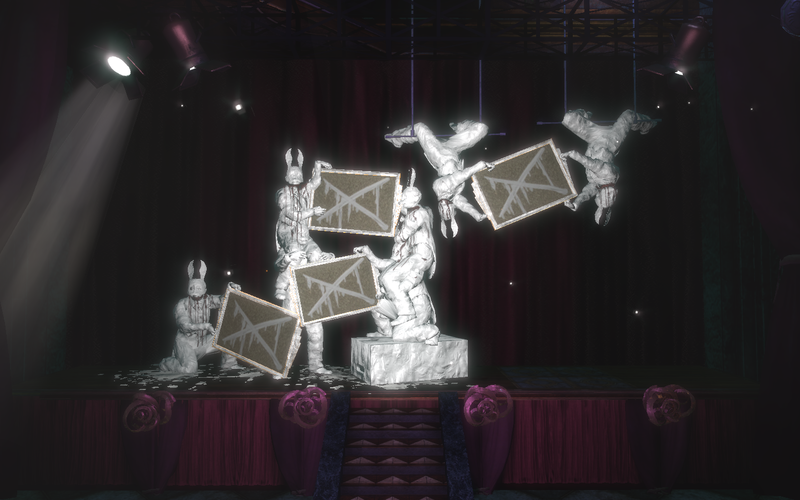 Although Levine never set out to make a game about Jewish identity, his own family history and upbringing inevitably infused BioShock’s world. He wrote what he knew. Atlas Shrugged author Ayn Rand’s life story and Jewish identity were obvious influences on Andrew Ryan’s in BioShock. Rand was an Eastern European Jew whose family’s business was turned upside down by the Bolshevik Revolution and who eventually moved to America. However, it was Levine’s own experience in New York City’s Jewish culture that formed the foundation for what would become Rapture. Levine was born in Flushing, New York and raised in northern New Jersey, but his father worked in Manhattan’s Diamond District, one of New York City’s many Jewish centres. Levine recalled visiting his grandmother in Queens: the Eastern European accents, the smell of kugel, the bubbes walking the streets. It was a world that Jews had made all by themselves. So Rapture ended up resembling a version of New York that Levine, his parents, and grandparents had experienced, a post-World War II cultural mecca full of Jewish doctors, artists, and scientists. He twisted and transformed New York City’s historic Jewish locations, its theatre districts and diamond districts, into Rapture’s underwater entertainment districts and shopping centres. But Rapture wouldn’t exist without the perseverance and philosophy of its founding father. 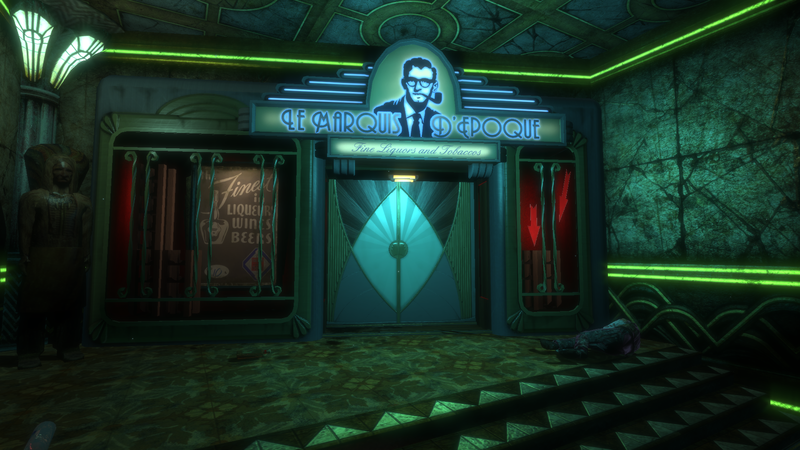 In Rapture, all roads lead to Andrew Ryan, and it’s primarily through him that BioShock engages critically with ideas central to 20th-century Jewish identity. Levine, like myself and many modern Jews, identifies as culturally Jewish, but not religiously so. It’s an important distinction, one that defines BioShock’s Jewish characters, most of whom have rejected organised religion. To those unfamiliar with Judaism, it might seem strange, but being “Jewish” entails more than getting bar mitzvahed or celebrating Passover. There’s a whole cultural identity that goes along with it. As a Jew, even if you don’t go to temple or fast on Yom Kippur, you are steeped in this history, and it informs your identity in ways that are conscious and subconscious. Andrew Ryan rejects religion and falls more in line with this kind of Jewishness, a secular understanding of Jewish identity that still calls on that cultural history. It’s no coincidence that Ryan founds his city in 1946, the year after the conclusion of World War II. Ryan may have fled his Eastern European home for America well before the start of the war, but his anxieties embody those of many Jews, especially after the horrors and trauma of the Holocaust. European Jews had been herded, branded, and stripped of their free will. Ryan might not have endured the Holocaust but he was still displaced and afraid, without a home and without a sense of control over his own life. Much like me, Levine is generations removed from the fear of displacement his grandparents faced. He never had to worry about packing everything up and fleeing his country. But that sense of unease, whether consciously or not, is passed down through the generations. Andrew Ryan’s worldview develops as a direct response to those anxieties. Like many Jews, he felt like his will had been stripped away, like his world had been destroyed by people who think the world would be better off without people like him. Even in America he felt like an outsider. He takes recognisable and understandable fears, but responds in the most extreme way possible. He rejects altruism and embraces individualism because his people have been at the receiving end of collective utopian visions. “As the German fools threw themselves on Hitler’s sword for the good of the Reich, the Americans drank deeper and deeper of the Bolshevik poison, spoon-fed to them by Roosevelt and his New Dealers,” Ryan says during one of his Rapture Radio speeches. He believes the moment you start thinking about what is good for mankind is the moment you’ve given over your control to parasites. Instead, he chooses to take back control and free will. It’s easy — perhaps scarily so — to see why people would be attracted to these ideas, especially other Jews. 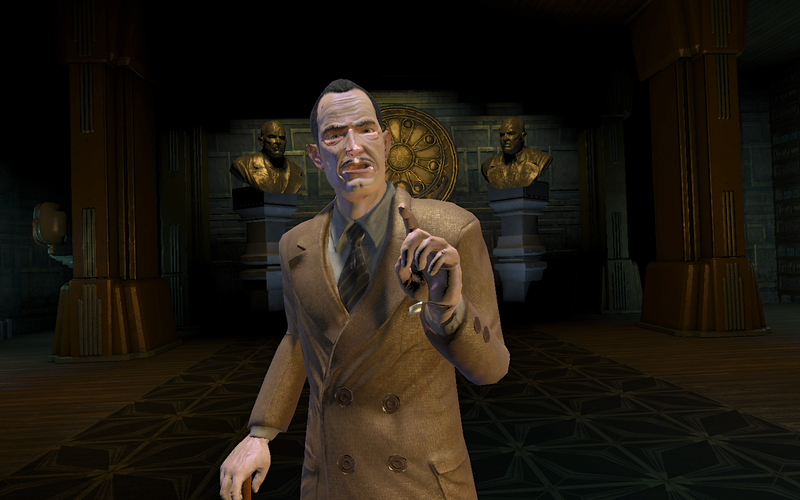 Many of BioShock’s other Jewish characters, like Sander Cohen and Brigid Tenenbaum, are drawn to Rapture and Ryan because they too feel displaced or lacking control, but like Ryan they end up as reflections and distortions of these themes, examples of what happens when people are put under the pressures of history, time, and trauma. Cohen is an Jewish-American artist whose unorthodox and demented concept of self-expression put him at odds with New York City’s art scene. It also made him perfect for Ryan’s Objectivist fantasy, and he ends up serving as a more violent, madhouse distortion of Ryan’s desires for home and control. Much of this is revealed through Cohen’s actions and his “art,” which is all about control. He creates solid statues out of live subjects and threatens his performers if they don’t achieve his idea of perfection. Even though he never had to deal with the horrors of the Holocaust or terror of displacement, Cohen still felt like he didn’t belong in America. In the years following World War II, many found a home in America and assimilated into American culture, but for there were also those like Ryan and Cohen for who had a lingering fear that the past could repeat itself. Those feelings certainly fade as the generations go by, but my father experienced these fears firsthand. His father, a survivor of the concentration camps, was wary of all goyim (non-Jews), even refusing a Christmas present from my father’s childhood friends. He had seen kindness from non-Jews turn into savagery at a moment’s notice. He had been through too much not to fear that. Cohen’s story reveals a critical layer to BioShock. If the trauma of the past still controls our present, how much control do we really have? It’s a question many Jews grappled with after the Holocaust and one many still grapple with today. It’s not a question with any easy answers, and BioShock, like other good works of science fiction, finds pleasure in the question itself. The battle between determinism and free will climaxes in the game’s “Would you kindly?” reveal, in which it is explained that Ryan has been manipulating the protagonist’s every move, but the war rages on within the psyches of its characters. During the bathysphere ride into the city, Ryan claims he “chose something different” with Rapture. But did he? Ryan’s philosophy is based in part on the idea that there are “great men” of history, the very same ones that drove him away from Eastern Europe and oppressed his people. Tenenbaum, a German Jew who actually helped the infamous Nazi doctor Josef Mengele with his terrible experiments on prisoners in the concentration camps, also ends up aping her oppressors. She brings Mengele’s horrific methods, especially those used on children, to Rapture, producing the Little Sisters in the process. In one audio diary, Tenenbaum says, “I could blame the Germans, but in truth, I did not find tormentors in the Prison Camp, but kindred spirits.” Tenenbaum’s story might be the most disturbing, but it’s an extreme example of how trauma can sometimes result in the tormented adopting the methods of their tormentors. The worst gift that oppression gives is more oppression. It’s a traumatic cycle that can swallow up those caught in its wake. The fear of oppression yet to come is a nasty, insidious thing and neither Tenenbaum nor Ryan—nor the player—are fully capable of escaping it. Ryan’s obsession with the Great Chain of industry is apt, although history ends up becoming the heaviest link in that chain. BioShock Infinite, the 2013 follow-up also directed by Levine, might be obsessed with the cyclical nature of history as a concept, but the original BioShock is just as concerned with the personal toll those cycles have on people, particularly Jews. Like any good alternate history, BioShock poses a “what if” question that has the potential to become a “what is” statement. Out of fear of future oppression, Ryan and his followers essentially re-create the conditions for further violence, trauma, and pain. That should sound familiar to anyone who keeps up with current events. An idealised homeland for a displaced people that is founded with the best of intentions and worst of fears? Levine admits the comparison wasn’t intentional. Like most Jews, he certainly has his own views on the state of Israel, views that are probably too complex to tackle in a first-person shooter. However, BioShock still works as a bold critique of the state of Israel, one that’s more relevant than ever in light of the Israeli military’s recent acts of violence, while attempting to explore the roots of trauma and violence at the heart of this homeland. So although BioShock’s story climaxes with a plot twist, the game’s deeper cultural narrative finds a thematic crescendo in Rapture itself. The game’s themes of free will, control, and cycles of violence have been analysed to death, but they twist into something completely different when viewed through the prism of Jewish identity. 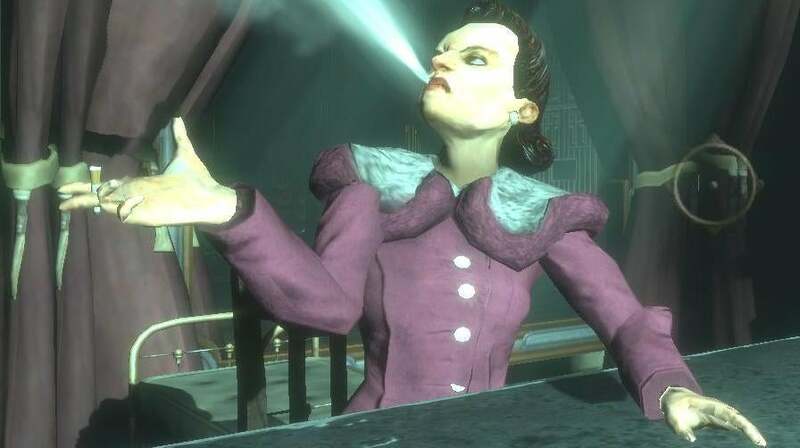 BioShock becomes the story of a people that are reckoning with how to belong in a world that’s committed violence against them and stripped them of their free will. It doesn’t have any easy answers — nor should it. But there’s value in the question—In what country is there a place for people like me?—even if it turns out to be more of a plea shouted from an underwater abyss than a welcome to a new home. Cody Mello-Klein is a writer and amateur anthropologist who is always in the middle of replaying The Witcher 3 (for research purposes, of course).